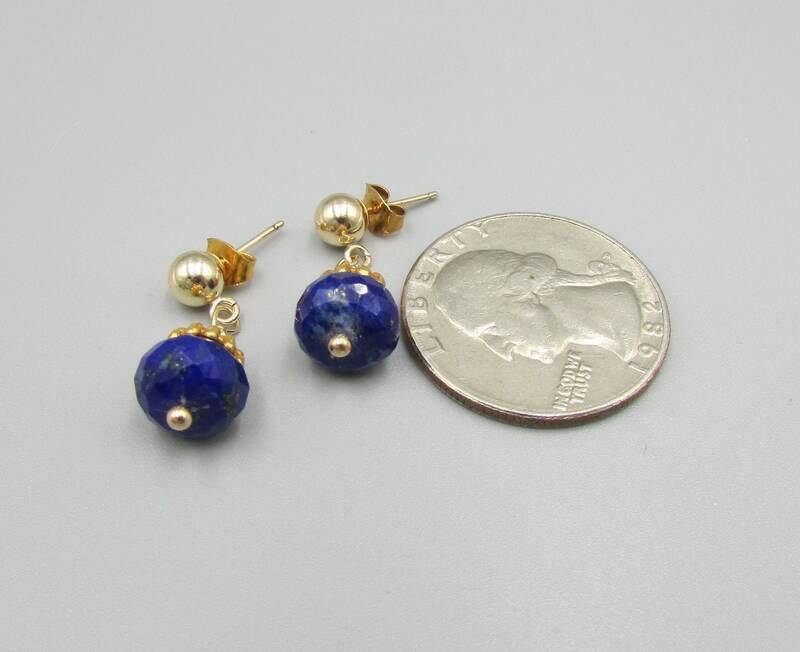 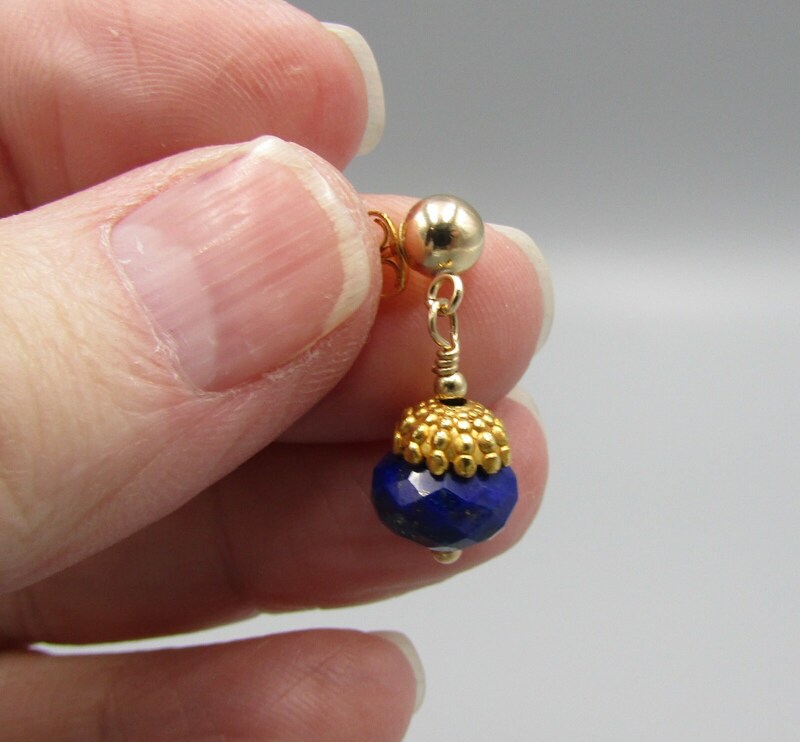 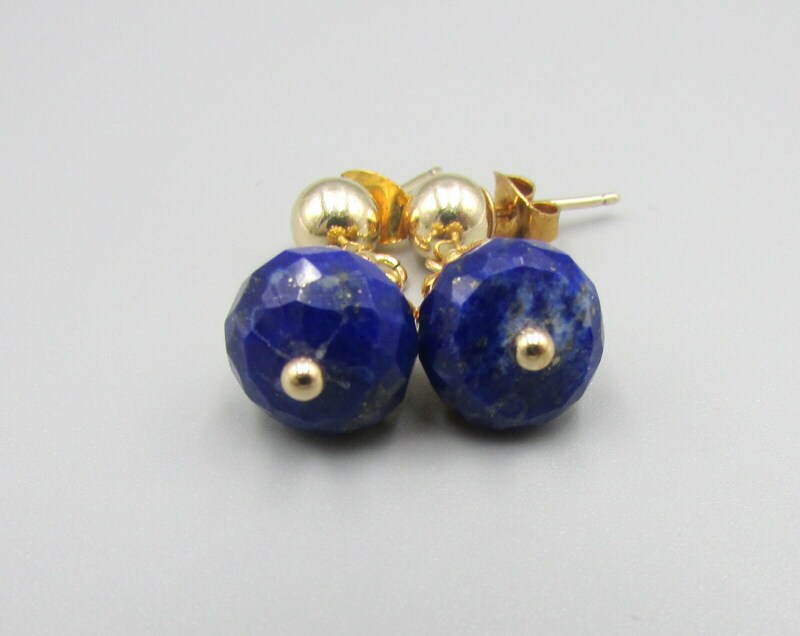 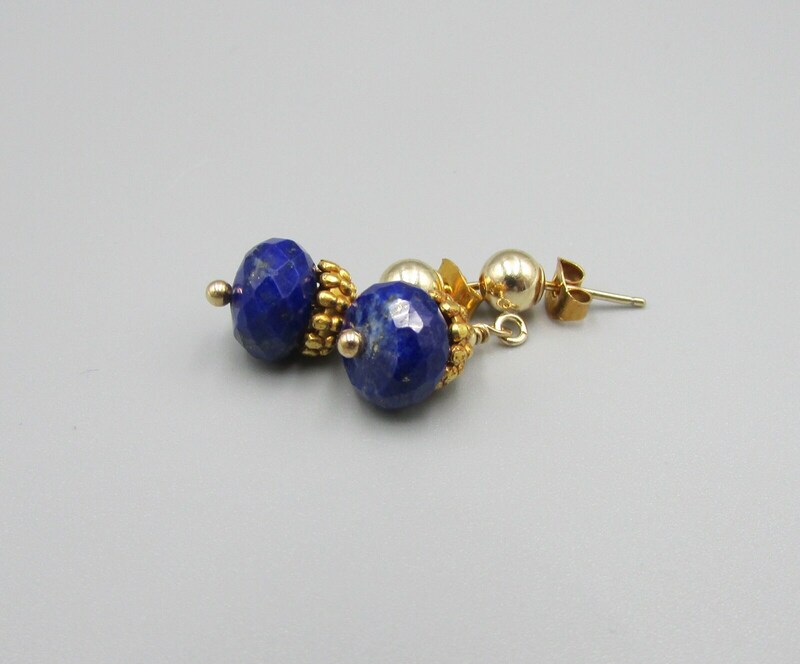 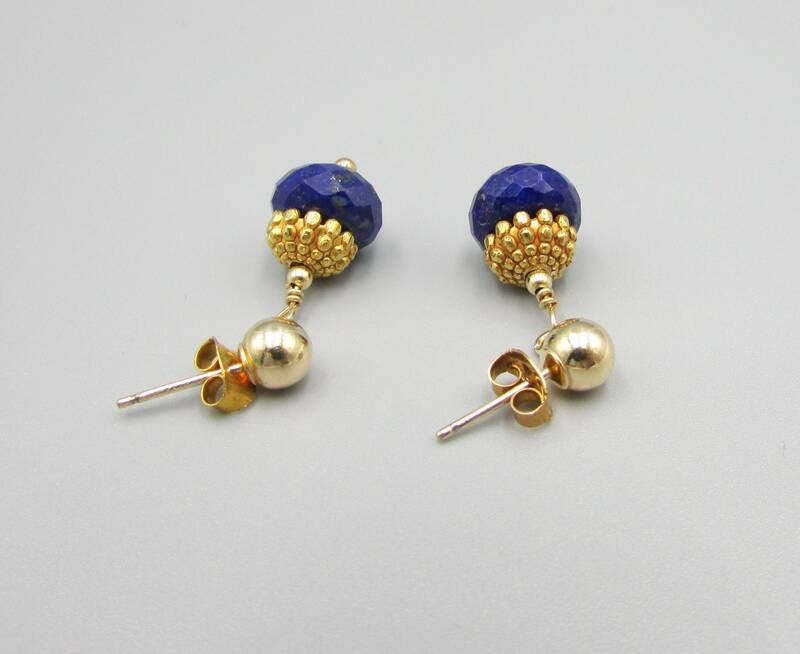 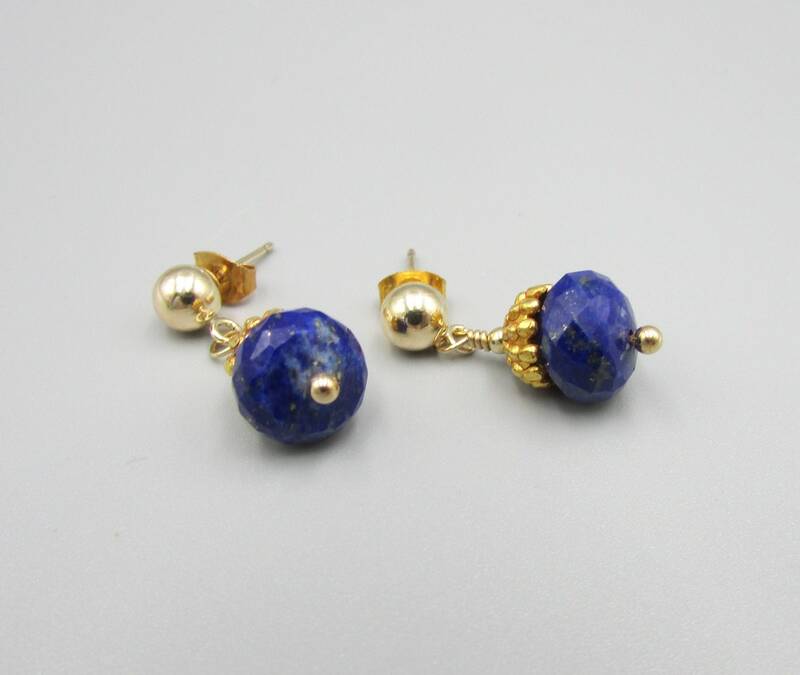 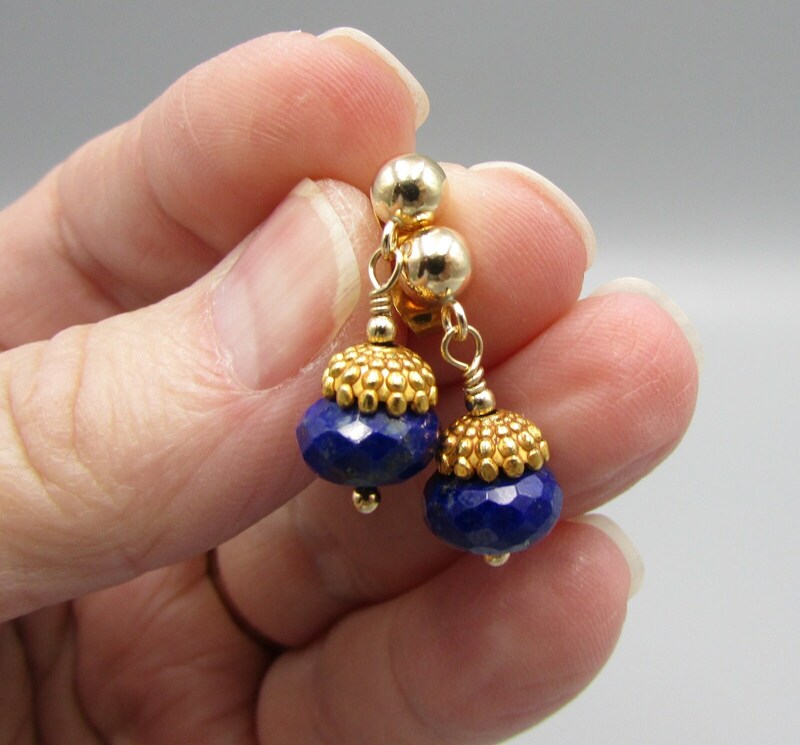 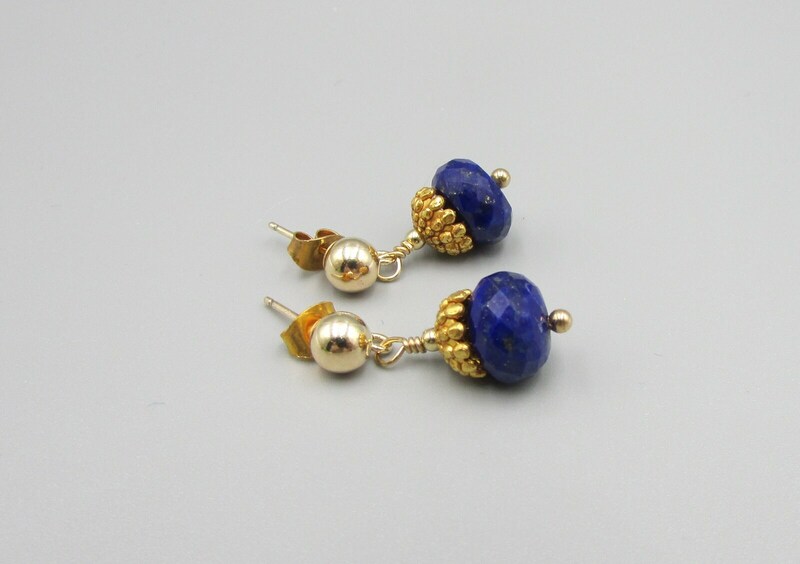 These lovely lapis gold filled dangles are created with 9mm faceted rondells, a 22kt fine gold plated bead cap and finished with gold filled 5mm stud earrings. 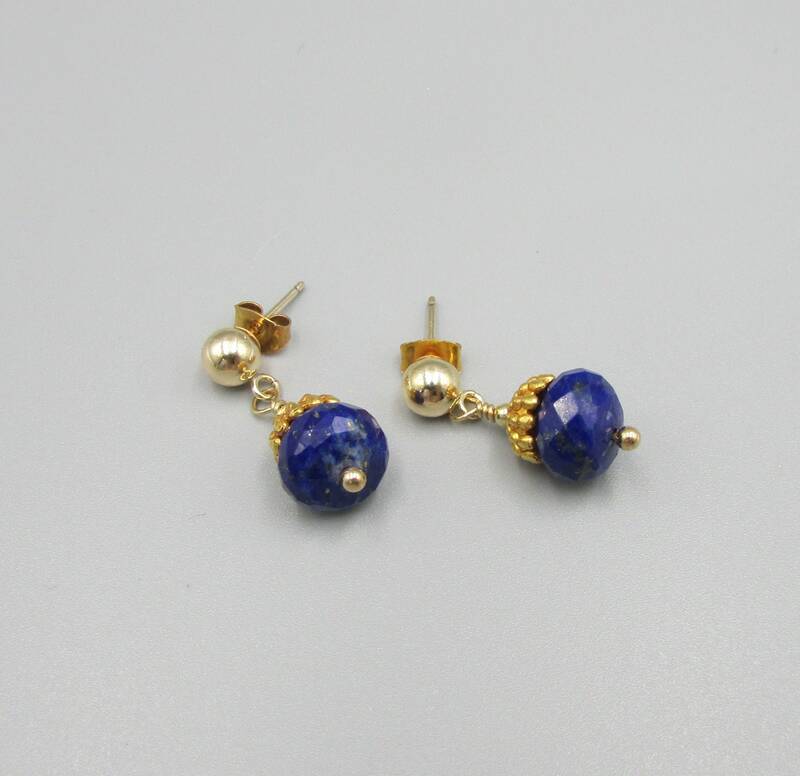 Elegant and simple these earrings are perfect as a special gift or for your bridesmaids. 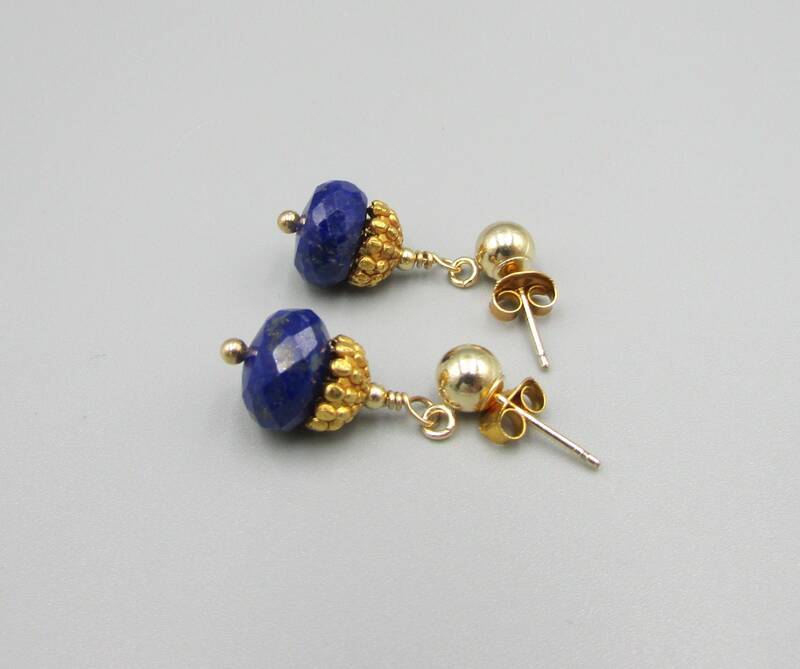 You can even wear them everyday, Expect to get tons of compliments when you wear them.